[Updated 4:37 p.m. See below.] Last week, Xconomy previewed the American Society of Hematology’s big meeting in San Diego, the largest medical gathering in the country on blood diseases. We took a deep dive into five specific disease areas under scrutiny, from lymphoma to hemophilia to sickle cell disease and more. Several new experimental therapies are in development for sickle cell disease. During ASH, the most advanced treatment, a drug called voxelotor from Global Blood Therapeutics (NASDAQ: GBT), got a big lift from the FDA. GBT said Monday the FDA had agreed with the company’s regulatory roadmap. GBT will file for “accelerated approval” of voxelotor, which enables a green light for a drug on a smaller-than-usual body of evidence. 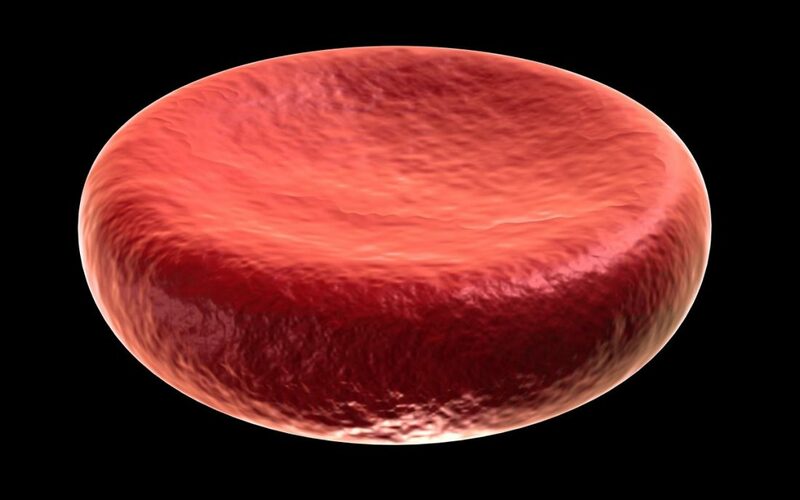 GBT proposed that if voxelotor boosts hemoglobin levels in its ongoing late-stage study, known as HOPE, it should help prevent strokes in patients with SCD. According to GBT, the FDA agreed. It also said that GBT should track patients’ performance on a transcranial ultrasound test in a post-approval study. GBT will have another meeting with the FDA early next year, and will update its plans, including when it aims to file an approval application, after that. Separately, GBT provided updated results from the first part of its Phase 3 study, which showed that 65 percent of patients who got a higher dose of voxelotor saw their hemoglobin boosted more than 1 gram per deciliter after 24 weeks, compared to 33 percent on a lower dose and 10 percent of placebo patients. GBT shares soared 48 percent to close at $46.62 each Monday. Regeneron is best known for its blockbuster drug for the eye disease age-related macular degeneration. But the antibody drug specialist has made a big investment in the oncology field over the past few years, and it’s starting to pay off with tangible results. Earlier this year, the FDA approved Regeneron’s cancer immunotherapy cemiplimab (Libtayo) for a type of skin cancer, making it the company’s first oncology product. At ASH, Regeneron detailed early results for a second cancer drug called REGN1979 that the company is developing for a variety of blood-borne malignancies. REGN1979 is one of several so-called bispecific antibodies Regeneron is developing. These drugs simultaneously latch on to two cancer targets, and Regeneron has been touting them as potential “off-the-shelf” alternatives to cell therapies for blood cancers like diffuse large b-cell lymphoma (DLBCL) and multiple myeloma. At ASH, Regeneron disclosed results from a Phase 1 study of REGN1979 in patients with different types of b-cell non-Hodgkin lymphoma—among them DLBCL and follicular lymphoma—who had failed a median of three treatments. The best results were seen in follicular lymphoma patients, of which 10 of 10 on a 5 mg dose of the drug responded and eight of them had no trace of cancer on their most recent scan. Regeneron said in a statement that based on what it’s seen so far, it plans to start a “potentially registrational” Phase 2 trial in follicular lymphoma next year. Leerink analyst Geoffrey Porges noted it’s unclear how long those responses have lasted, and also that the drug’s impact was less impressive in DLBCL, where 8 of 19 patients responded. But the results suggested that “with astute combination development” the drug could move forward in earlier settings for follicular lymphoma patients. And perhaps it could be of use for DLBCL patients who have run out of options, including people who previously received CAR-T. REGN1979 “seems to finally be showing some tangible potential and a viable and relatively short path to market,” Porges wrote. Regeneron’s stock ticked up 4.6 percent Monday. Karyopharm is already close to an FDA nod for its first drug, having filed for accelerated approval of a pill called selinexor for multiple myeloma. But new data presented at ASH helped build its case in another blood cancer, DLBCL, and shares ticked higher on the news. In a study called SADAL, Karyopharm tested DLBCL patients who had failed at least two treatments and weren’t eligible for the new CAR-T cell therapies to come to market. These patients, noted Jefferies analyst Maury Raycroft, have no therapeutic options and typically go on palliative care. But among those enrolled in SADAL, 29.6 percent responded to selinexor, with 9.6 percent showing no trace of cancer. Those responses have lasted a median of 9.2 months. What’s more, selinexor has shown “broad activity in all subtypes” of DLBCL patients, which may give it a leg up over potential competitors in development for DLBCL like ibrutinib (Imbruvica) or venetoclax (Venclexta), both from AbbVie (NYSE: ABBV), Raycroft wrote. Selinexor is already under FDA review as a treatment for multiple myeloma patients who have failed several drugs, among them lenalidomide (Revlimid) and bortezomib (Velcade). In light of the SADAL results, Karyopharm now plans to file for accelerated approval in DLBCL next year as well. Karyopharm shares closed up 5.4 percent on Monday. Gene therapy, which offers a long-lasting effect from a single treatment, has finally come of age over the past few years, with one product on the market in the U.S. and more likely on the way. And the blood disease treatment LentiGlobin that Bluebird Bio is advancing has been a big part of gene therapy’s renaissance. But questions remain about gene therapy—how long it will last, for instance, and whether any safety problems will emerge in the future. The case of one patient disclosed by Bluebird this weekend at ASH is a prime example of those uncertainties. Bluebird (NASDAQ: BLUE) said this weekend at ASH that a sickle cell disease patient who received LentiGlobin has developed myelodysplastic syndrome (MDS) three years after getting treated in an early stage trial named HGB-206. MDS occurs when mutations arise in the patient’s blood stem cells. It can be a precursor to acute myeloid leukemia, a deadly blood cancer. To be clear, Bluebird and an independent monitoring committee don’t believe the MDS case came from the gene therapy itself. In a note to investors, Leerink analyst Mani Foroohar wrote the likely culprit is what’s known as myeloablative conditioning, a chemotherapy step used to “precondition” patients for the Bluebird gene therapy. MDS is an uncommon, but known complication of busulfan, a chemotherapy used to prep patients for stem cell transplants—a similar procedure to the type of gene therapy Bluebird is developing. Business, life sciences, and technology news — covering Boston, Seattle, San Diego, Detroit/Ann Arbor, San Francisco, New York and beyond. © 2007-2012, Xconomy, Inc. Xconomy is a registered service mark of Xconomy, Inc. All rights reserved. Site produced by Andrew Koyfman with design from Rob Hunter.